apiNXT is a nonprofit organization started by experienced API community leaders who not only have a demonstrated passion for and commitment to advancing the API community but also a track record of effective results. They understand the diverse needs of the community and how to get things done. apiNXT was created to fast forward the progress being made by API Americans in breaking down the bamboo ceiling so that we reach the next stage of influence within the next decade. apiNXT is built on the understanding that the engagement of current API professionals, young professionals and our youth are critical to accelerating this move forward. 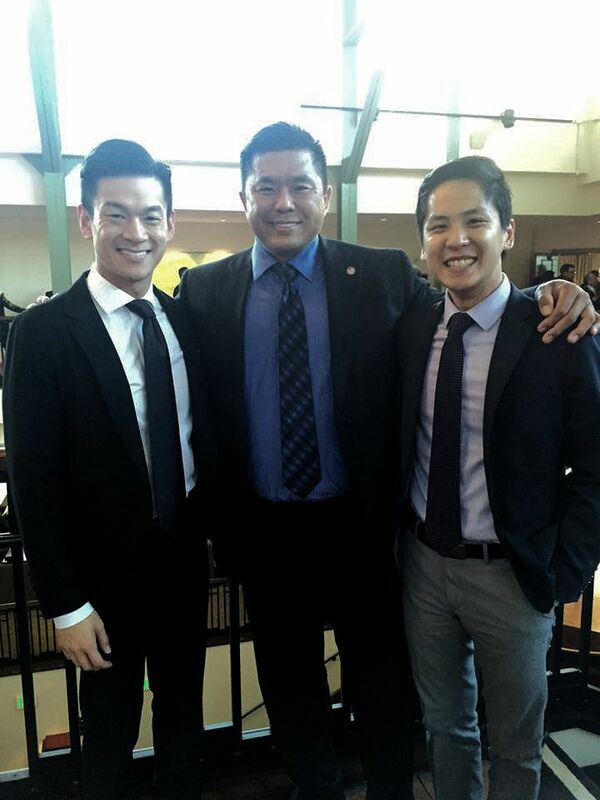 Since 2013, Henry has served as President of the Greater Sacramento chapter of the Asian Pacific Islander American Public Affairs Association (APAPA). Henry’s passion is uniting the community for real impact and partnering with other organizations in the community has been the cornerstone of his leadership style. Under his leadership, the chapter has grown exponentially, has had record breaking event attendance, and increased its collaborations with other community organizations. Henry’s contributions to APAPA began long before he accepted the President role. Henry started volunteering for APAPA in 2010 and joined the board in 2011. In 2012, he received the Board Member of the Year award for his contributions to APAPA and its growth. Prior to joining APAPA, Henry was very active with the Sacramento Active 20/30 club for 5 years where he ran numerous major events to benefit underprivileged children in our community and served on the board of directors. In 2007, he trained for and participated in a 100 mile bike ride around Lake Tahoe for the benefit of the Leukemia & Lymphoma Society. He currently works for TelePacific Communications. He also serves as an Advisory Board Member of Silicon Vikings, a 40,000+ technology nonprofit headquartered in Silicon Valley. Henry was an Economics major at UCLA. Charlotte has a Juris Doctorate from Stanford Law School and a BA in Political Science & Economics from UC Berkeley, where she graduated with honors in the major and Distinction in General Scholarship from the university. Charlotte has practiced business and immigration law for technology companies since 1998. As the mother of two API children, Charlotte has a genuine commitment to advancing opportunities for the API community. She has volunteered for the Asian Pacific Islander American Public Affairs Association (APAPA) since 2011 and served on the board from 2013-2016. In 2015, she was Chair of the annual statewide Voters Forum. Starting 10 months prior to the event, Charlotte built a true grass roots effort with over 150 community members contributing their ideas to the event and over 40 organizations partnering in the event. The 2015 Voters Forum was not only the most well attended Voters Forum APAPA has held (even though it was a non-election year), it was also the most diverse and inclusive event ever held. Charlotte received APAPA’s volunteer recognition award in 2012 and then Board Member of the Year award in 2015. Charlotte currently serves as Executive Director of Silicon Vikings, a 40,000+ nonprofit that focuses on technology and innovation headquartered in Silicon Valley since 1997. Charlotte took the role as Executive Director in January 2015 and has doubled the organizations membership during that time. She also was responsible for rebranding the organization, increasing the number and caliber of events held (25 per year), and increasing sponsorships exponentially. Prior to joining Silicon Vikings, Charlotte served as Chairwoman of the Swedish American Chamber of Commerce of San Francisco/Silicon Valley and was responsible for the dramatic revitalization and growth of that organization; she served on SACC SF/SV's board from 2009-2011. Charlotte has also been active in the European community on a national level having served on the Executive Committee of SACC USA as Assistant Secretary. Charlotte's commitment to collaboration between organizations has been evident throughout her work. She worked tirelessly to help with the formation of the Association of American European Chambers of Commerce and Business Associations (an association of Bay Area European chambers) and served as the initial treasurer for the organization after its official incorporation in 2014.